Need Affordable Parking Lot Maintenance Near Covington, LA? Using the latest professional striping equipment, we apply paint at high pressure, thoroughly removing debris and dust to prevent peeling over the long term. Stripe A Lot uses only the highest quality paint products to ensure distinct striping. 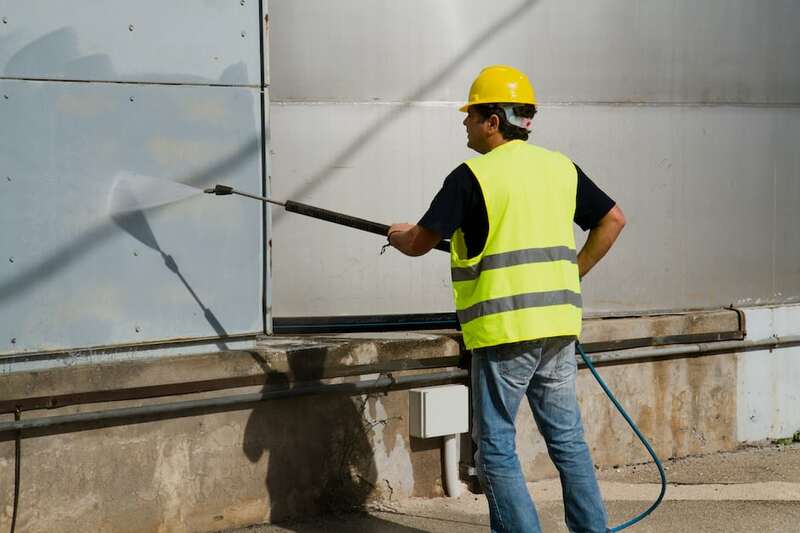 The exterior of your building is usually the first thing your customers see, and pressure washing is the most efficient way to remove dirt, mold, mildew, and other unwanted buildup on your building. Stripe A Lot also offers pressure washing for parking lots, drive-thrus, motels and more. Stripe A Lot provides parking lot maintenance in New Orleans, Baton Rouge, Kenner, Denham Springs, Covington, Hammond, Metairie and throughout greater New Orleans. Our services include re-stripes, new layouts, custom stencils, parking bumpers, and signage. With Stripe A Lot, you can rest assured that your parking lot will maintain a professional appearance. Contact Us today to find out more about our parking lot maintenance services. If you have any questions about our services or would like to get started, we invite you to contact us today! Stripe A Lot offers parking lot maintenance, parking lot striping, pressure washing, and more to businesses throughout Covington, Mandeville, Eden Isle, Metairie, Kenner, Hammond, Baton Rouge, New Orleans, and surrounding LA communities.